To ensure your OS allows you to build and secure application infrastructure—whether on physical hardware, in virtual machines, or in the cloud – you need a platform that can support critical apps while also allowing for ease of management and maintenance. 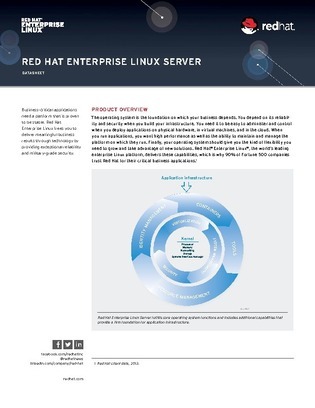 In this white paper, you’ll uncover Red Hat Enterprise Linux’s core capabilities and operating systems fundamentals, from security to server administration to containers and resource management. Read on to see for yourself why 90% of Fortune 500 companies trust Red Hat for their critical business apps.